It seems that the NNEDI3Resize Resizer for Avisynth is missing a Prescreener option. So in the above image, option "0" is not available, so it would appear that there is no way to disable it (which is what option 0 is). Tried the dev version but the CPU is way underutilized or something when I try to execute a job, causing extremely poor performance. When I switch back to version 2019.3.14.1, everything is fine, with the same file, job, and settings. I can see all 6 cores are being used but CPU performance doesn't go above 20% max on the dev version for some reason. Didn't change anything aside from LSFmod and NNEDI3Resize. Without even knowing what settings you use not really anything I can say about it,..
Wild guess: try to reset your defaults. Defaults would have been reset because I did a complete uninstall before installing the dev version. Is there any way to save a state or something? I tried the Config -> Defaults -> Save All, but some things didn't save, like custom filter orders. 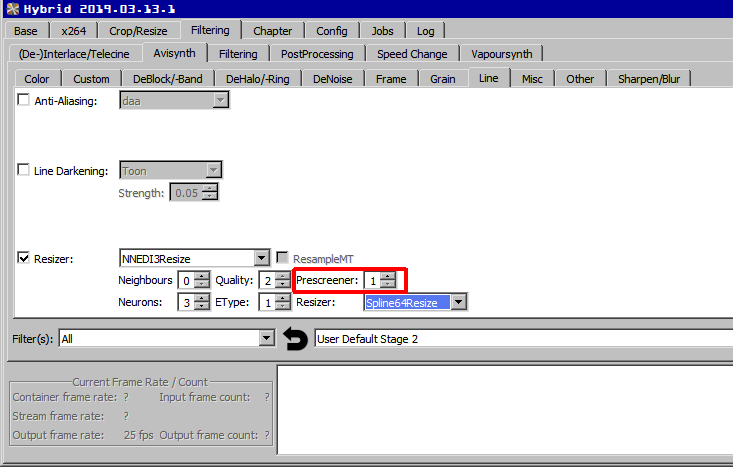 On current stable version all settings are exactly the same, except Prescreener on Resizer is set to 2. I should have tried Prescreener on 2 for Dev version to see if that made the problem go away. DANG! Is it OK to install different versions of Hybrid at the same time, in a different folder? For the future: Instead of posting screenshot, after screenshot, better create a debug output level 9. Quote: Is it OK to install different versions of Hybrid at the same time, in a different folder? If you make them portable (use separate 'settings' folder, read: [INFO] *hidden* Hybrid options,...): Yes. Otherwise: No, since they will use the same settings folder etc. which will break things even if you don't notice it directly. 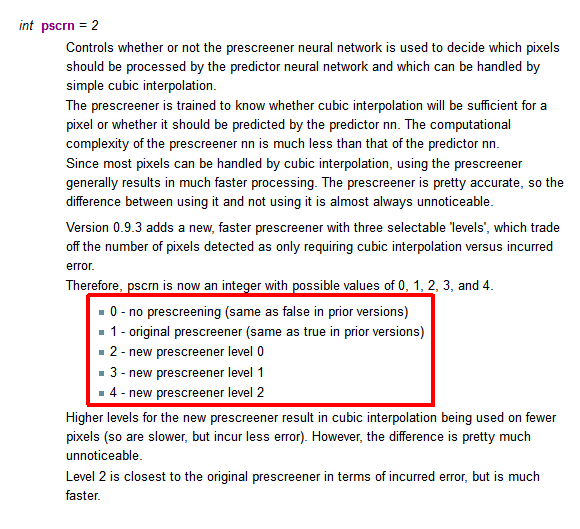 Quote: I should have tried Prescreener on 2 for Dev version to see if that made the problem go away. DANG! Yup, unless you are sure the same settings were used, comparing the speeds&cpu usage doesn't really help. Also, the dev version uses a different MT thread count when settings MT threads to 0. Current time: 26.04.2019, 08:29 Powered By MyBB, © 2002-2019 MyBB Group.